British Ski Instructors are able to teach in France with a French Ski School, without having gained a BASI Level 4 ISTD qualification. A Level 2 or Level 3 instructor may join the French Training system and receive Trainee status (Stagiere) as long as they have completed the Test Technique. To do this you need to apply for a “Livret de Formation”. 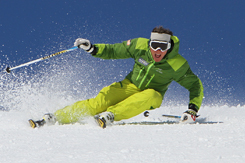 This allows instructors to work in a French authorized Training Ski School for three to four years on an apprenticeship type basis. 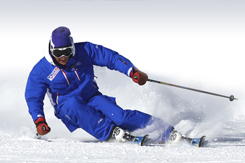 Before you apply for your Livret de Formation you need to have gained a minimum of Level 2 Instructor Qualification and passed your Test Techinque (this is run by the French and not BASI) If you have completed your Level 3 ISIA you have also got to pass your Test Technique to work in France with a French ski school. The Livret de Formation is not a qualification in itself but just the form that shows that you have entered the French system. It is written on a BEES Certificate because the Livret de Formation is a step towards the BEES 1º which is the lowest French professional qualification. This will be known to some as the Premier Cycle. The French instructors have to pass their Test Technique and their Eurotest before achieving their lowest award, the BEES 1º. 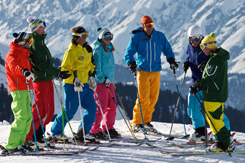 Once you have received your Livret de Formation, you are only allowed to work with an authorized French Ski School, you must sign a contract between an agreed French Ski School (Centre de Formation), the French “Ministère de la Jeunesse et des Sports” and work under the guidance of a “Conseiller de Stage” (Training Advisor) who is a full French Diplome. Process for applying for a Livret de Formation in France. A brief letter explaining that you would like to become a Stagiere and integrate into the French system. Please click here for a template of this letter. Fortunately most ski schools will allow you to work with just your Livret de Formation certificate, as long as they know that you have sent off for the final document. 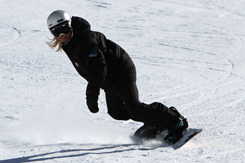 Process for applying for an Attestation de Stagiere de Ski. A brief letter explaining that you would like to apply for your Attestation de Stagiere de Ski and who you are going to be working for. Please click here for a template of this letter. This could take from a few weeks to a few months to be sent back to you. The French Ski School that you are going to work for will be able to give you the above information.